GoMobile Repair > Uncategorized > Are Cheap Phone Charge Cables a Bad Idea? Are Cheap Phone Charge Cables a Bad Idea? You like a deal. We like a deal. Who doesn’t like a deal? But buyer beware when it comes to your smartphone charge cable accessories – sometimes you get exactly what you pay for! 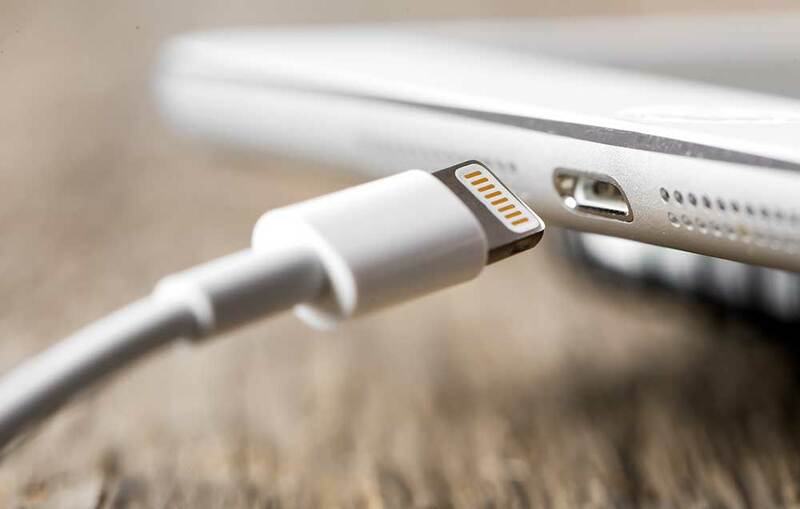 Charging cables and mobile accessories are a hot item and often cost more than we think they should. This leads us to seek out a steal of a deal. An iPhone Lightning cable for $10? A Samsung 8 USB-C fast-charging cable for $5? Tempting, we know. But as a recent article from CBC points out, these electronic deals are often too good to be true. They are often uncertified, not meeting national or provincial safety codes. Worse, they can start fires, leading to far bigger problems that an overpriced charger. As a Vancouver mobile repair shop, GoMobile has seen countless issues arising from cheap knockoff or no-name charging cables and wall adapters. We have literally seen devices go up in smoke due to shoddy workmanship. That crazy sale on your $3 cable may have been hot, but so was your iPhone when it caught on fire! The charger that came with your device should obviously be the number one choice to charge your device. If it dies, your best bet is to get a replacement from a certified manufacturer. Avoid cheap cables from convenience stores and Richmond Night Markets! That knock-off won’t have the certification code on it and that’s your first hint that it’s not the real deal. Health Canada has a list of popular non-certified electronics to avoid and the certification codes you should look for. Bookmark it for when you’re online shopping for easy cross-checking. It’s a hazard and chaos just waiting to happen. And if you somehow “must” use that cheap or damaged cable, use it during the day when you can monitor it. Avoid charging at night at all costs or you might not see sparks until it’s too late. It isn’t just online shops that sell the shady cables and other electronic gadgets. Many kiosks and “reputable cell phone repair shops” also sell the fake or low-quality goods. GoMobile Repair only sells certified electronics and accessories for your mobile device. We make sure that you’re getting the best quality products at the best price. Come visit us at our shop to get your high-quality brand-name cables and charging accessories or ask our mobile technician to see our wares when you book a repair at your location. Previous Previous post: Our Cell Repair Shop Now Open Sundays!